Jean Boase-Beier (born in Huddersfield in 1954) is a translator of poetry from and into German; her poetry translations include Ernst Meister: Between Nothing and Nothing (2003, Arc Publications) and (with Anthony Vivis) Rose Ausl�nder: While I am Drawing Breath (2014, Arc Publications); she is also editor of the Visible Poets and Arc Classics series of bilingual poetry books. Jean studied at Manchester University and at the University of Regensburg, Bavaria. She is Emeritus Professor of Literature and Translation at the University of East Anglia, where she founded and ran the MA in Literary Translation, and recently held a Research Fellowship funded by the Arts and Humanities Research Council, on the translation of Holocaust poetry. 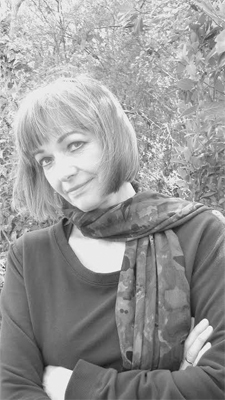 She has written many academic works on translation, poetry and style, and especially on the translation of Holocaust writing: recent publications include Stylistic Approaches to Translation (2006, Routledge), A Critical Introduction to Translation Studies (2011, Bloomsbury), and Translating the Poetry of the Holocaust (2015, Bloomsbury).